Have you ever descended too quickly on your scuba dive only to find your ears starting to hurt? Or maybe your scuba ascent rate was too rushed and your Divemaster had to suddenly grab you just to slow you down? Although we know you want to make the most out of your dive, remember that a safe and controlled ascent and descent while diving is also important. So what can make an ascent or descent unsafe? How can you avoid those factors to ensure your every dive is successful? 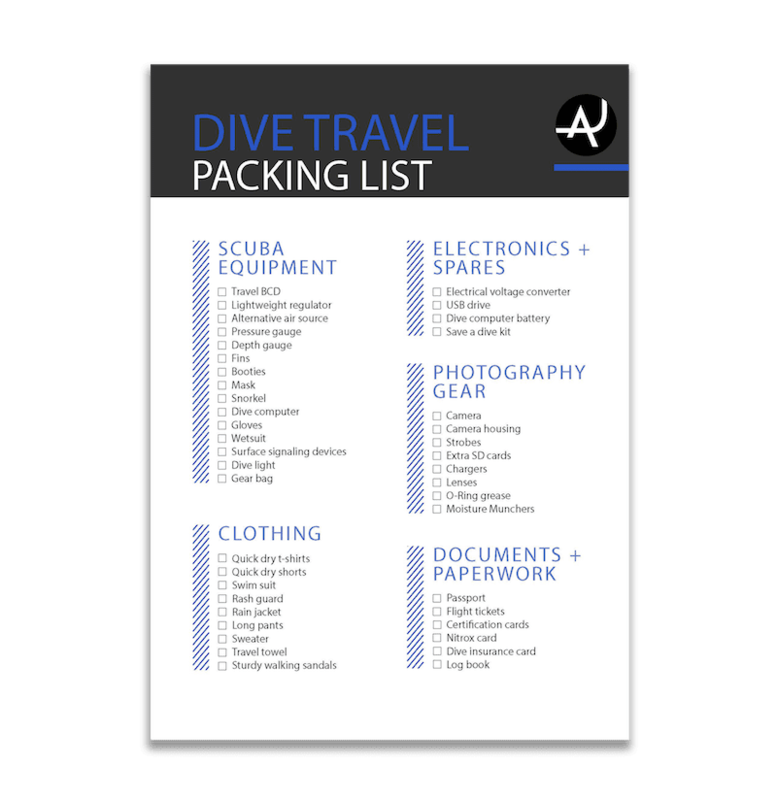 One of our main goals at The Adventure Junkies is equipping you with the right knowledge to make the most out of your scuba diving experience. 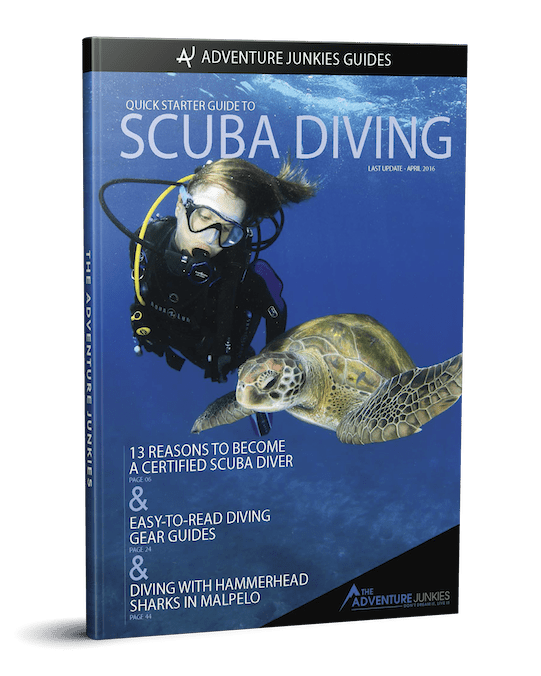 In this guide, we’ll talk you through the best practices when it comes to diving ascents and descents so you can enjoy the underwater world while staying out of harm’s way. When you ascend or descend too quickly, your body can’t adjust fast enough to the change in pressure. That’s why it’s important to take your time. Rushing this process can lead to problems in equalizing as you won’t be able to clear the air pockets inside your ears quickly enough. A rapid ascent can cause more serious issues like decompression illness, including what’s known as “the bends.” This is when the nitrogen gas in the body cannot be released fast enough. It results to bubbles formed in the body. Another more serious illness is pulmonary barotrauma, where the alveoli in the lungs rupture. Divers Alert Network Assistant Medical Director Dr E.D. Thalmann shared that some cases of pulmonary barotrauma are caused by panicked ascents or when the divers hold their breath during the ascent. 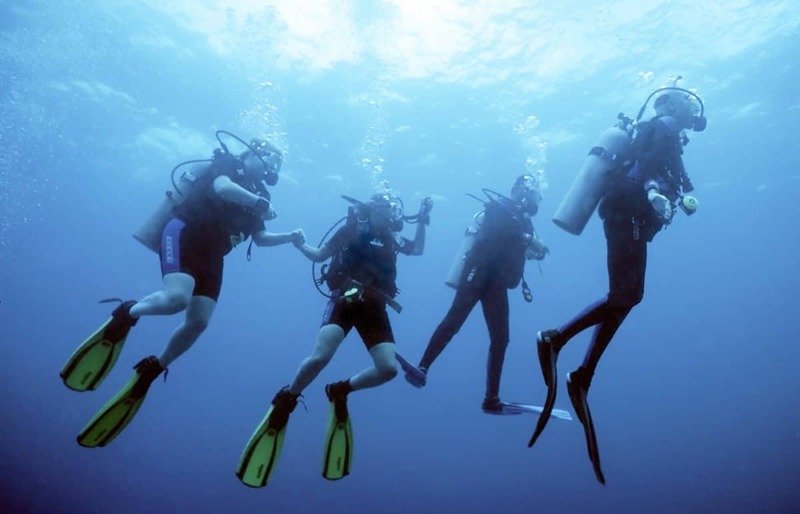 The rule of thumb to achieve a safe scuba ascent rate is to never rise faster than your bubbles or to not go faster than 30 feet (9 meters) per minute. You should always end your dive with a safety stop, staying still at 15 feet (five meters) for at least three minutes. This way, you will be able to avoid decompression illness or lung over-expansion injuries. This becomes more crucial for deep dives that reach over 60 feet(18 meters). A safety stop allows your body to get rid of nitrogen, thereby stopping it from forming bubbles in the tissue. Sometimes, a safety stop can be challenging in rough conditions or heavy swell. So if there is a line from the boat, hold on to it to stay steady. If there’s no line, do your safety stop a little deeper at 19 feet (six meters). Always ensure you have enough air for your ascent and safety stop. Don’t wait until you are low on air before ascending. You should always return to the surface with a reserve. Some dive operations insist to maintain the level at a certain amount when you return to the boat. To get back safely, remember that it’s always better to return with too much air than not enough. When ascending and descending, it’s best to stay upright with your feet down rather than remaining in a prone position especially during your safety stop. You will have better control. It also means your torso will be at the right depth when ascending. It’s much easier to stay in this position if you are properly weighted and can control your buoyancy. New divers may find themselves moving or flailing around a lot in the water, which can affect their rate of ascent or descent. If there is a dive line or rope available, hold on to it for the duration of your ascent or descent. This will help you stay with the rest of the group rather than drifting away from the dive site. It will also allow you to keep a controlled speed. A dive line is a great guide and is ideal for newer or less experienced divers to stay in control while adjusting to their surroundings. When ascending, the air in your buoyancy control device (BCD) will expand. This means you can suddenly find yourself rising more rapidly than expected. Holding on to the dive line will help stabilize you and prevent you from rising too suddenly. Don’t overinflate your BCD. A delayed surface marker buoy (DSMB) takes a lot of practice to deploy safely. An essential safety tool to indicate the location of divers to the dive boat, DSMBs require careful skill and know-how. You must deploy your DSMB while you are still underwater rather than at the surface. It’s even more important to use them in an area where there is a lot of boat traffic. However, you must make sure that you never attach the line or reel to your BCD. Otherwise, you will fly up at the same speed as the SMB and could risk decompression illness. You need to be ready to dump air from your BCD to counteract the inflation of the marker buoy. The safest way to ensure you are ascending and descending at the right rate is to use a quality dive computer. It will give all the necessary information about your dive depth and times as well as alert you when you are rising too fast. It’s also the most effective and accurate way to time your safety stop. Your dive computer should be easy to read and understand. It must also be accurate. Many divers these days prefer air-integrated dive computers, which use a wireless technology to monitor your air consumption. However, you should always check your Submersible Pressure Gauge (SPG) as well for backup purposes. If you don’t equalize, the pressure will build up in your ears and cause immense pain. Avoid ear pain and subsequent discomfort and injuries by equalizing regularly. If you feel pressure building in your ears or can’t equalize, make an effort to stop, rise slightly and try again slowly. 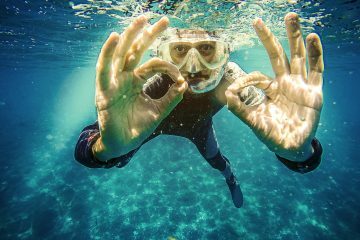 Most divers learn to equalize by pinching their nose and breathing out gently to release or “pop” your ears. This basically forces the eustachian tubes to open. 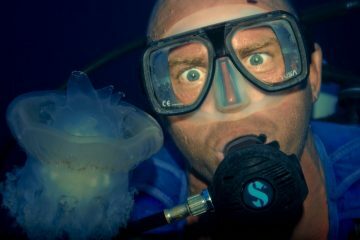 Experienced divers can equalize by simply wiggling their jaw and swallowing. This technique might take a bit more practice. Tobacco, dairy and alcohol can actually make it harder to equalize so if you have problems with clearing your ears, it may be best to avoid them before a dive. 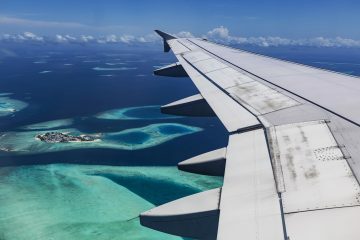 John Francis of the Divers Alert Network explained that these substances can affect mucous production, potentially blocking the eustachian tubes. It’s also why you should never dive with a cold or sinus problem. Don’t lose your dive buddy at the beginning or end of a dive. You should both be ascending and descending at a similar rate. If your buddy is dropping or rising rapidly, don’t try to keep up. Instead, try catch his/her attention to let him/her know that they need to slow down.